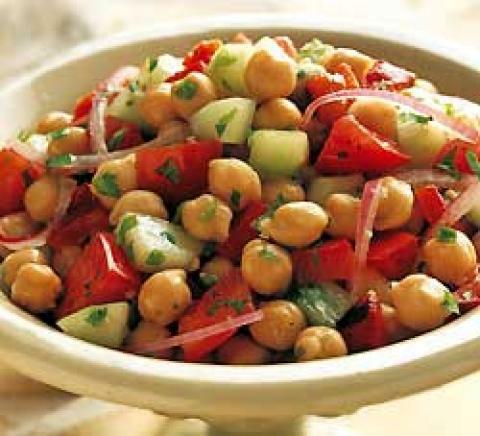 Boil the chickpeas in water to cover until they are very tender , an hour or more. (You should be able to mash a cooked pea against the roof of your mouth with your tongue-but be careful to cool a pea before testing it!). Combine the remaining ingredients and stir gently, but thoroughly, into the chickpeas. Chill until ready to serve.